One we have discussed on how Google SSL certificate update impacts your website. Secondly, Google’s Page Speed Ranking Factor for mobiles. This has actually shaken the market and the marketers from head to toe. 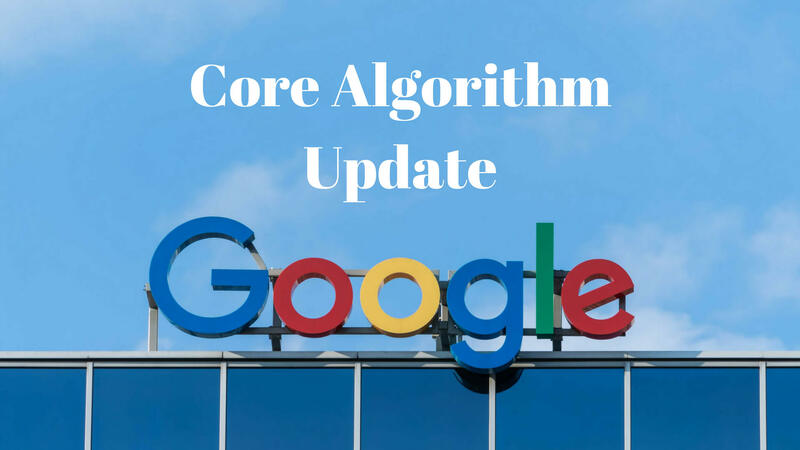 And again in the month of August 2018, which is on August, 1 Google has announced a major core algorithm update. So, you got it right, we are going to discuss on the latest news update of Google and it is what Google’s broad core algorithm update is. After the announcement was made, many SEO professionals are bit confused about exactly what changes would be apart from affecting the rankings. Have you missed the announcement? But, we can imagine, every time new changes which are made by Google upset the SEO pros a lot. It confirmed that an algorithm update happened. Confirms that sites that lost rankings did not lose rankings because of poor quality. It communicated that the change has made to improve how Google matches results relevant to the search queries. I hope you have remembered that we had written an article which informed you about the Google Algorithms Update. And here Google has come up with Core Algorithm Update. So, what Google’s broad Core Algorithm Update is. Let’s have a look at this! Firstly, I would like to tell you, Google makes numerous algorithmic changes per year and often more than one per day. These are implemented to address some specific flaws and issues in the Google Algorithms. All these algorithms are introduced on the basis of specific purposes. Such as in the case of Penguin, it was link spam, and in the case of Pigeon, the purpose was to rectify the local SEO spam. 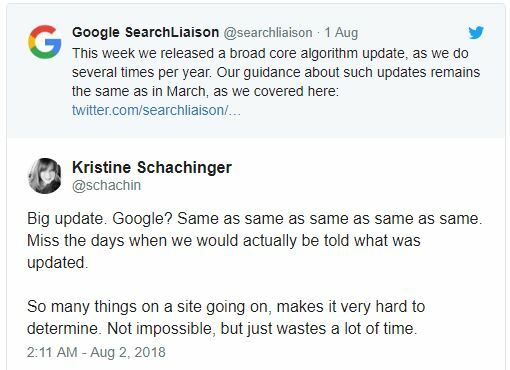 See, whenever Google make some changes or updates in its algorithms, it informed us what they are trying to accomplish or what they are going to prevent with an update in the algorithm. This enables us to go back and search for a remedy for our website and look for flaws and rectify them accordingly. But, a core algorithm update is different. See, a core update may be a tweak or change in the main algorithm itself. It is that Google has made some slight changes to the order, weights, importance or value of these signals. Because of this reason, they didn’t confront what all changes they have come out with, and not disclosing the important revelations. We can only imagine what changes have been made. The simplest way is that suppose 300 factors are listed in order of importance. From these 300 factors, say the order of some 50 factors is changed by Google. That means the “Ranking” is changed. See, the change which is made is not due to one factor or cause alone, but it would be a combination of many things. Obviously, it is not as simple as it seems to be. But, this is the best way I can make you understand what Google’s core algorithm update is. Ok, can you understand this? Believe me, this is the real thing. I also don’t have much idea, whether they are real or not. For the starters or for many SEO pros it is a hard nut to crack. But, it is very simple. It means that the Google has changed its way of calculating the term importance on a page, or we can say the weighting of links in PageRank or maybe both. It might be the bunch of other factors that they can’t talk about without changing the algorithm. That completely and simply means in easy words that Google has changed the importance and weight of many ranking factors. We all know that the Google users usually quality rates to rate the search results. These ratings depend on how they choose to change one algorithm over the other one, and not the basis of how they rate their site. The guess is that they are feeding this into machine learning, but it can also be a possibility also. It may be that some random combination of weighting is calculated and by chance it delivered some good relevant results even, for the quality raters and then they tested it more and more. The test results have confirmed it and they telecasted it live. I know after getting what Google’s core algorithm update is you might be thinking of the ways to recover from it. So let’s see at it. How To Recover From A Core Algorithm Update? Certainly, Google has done something mysterious with the marketers. See, as I have told you earlier also, unlike a major named update that has targeted some of the other specific things, a core update basically tweak the value of everything. This is because the weight of your website is compared to other’s website relevant to your query. And when your website dropped, the reason could be entirely different from those due to which somebody else’s website increased or decreased in rankings. I completely and clearly wanted to say that Google is not giving and way out to “recover” from it, because the answer to every website and query is different. It completely depends on what others are ranking or trying to rank on your query. The best part of the core algorithm update is that this update didn’t “penalize” you for something at all. It is just rewarding other websites more for something else. It may be doing something different using the anchor text or formatting of content to match the user intentions. Here Google shifted the reason of weight so that content formatting become slightly higher and the internal anchor text becomes slightly lower. In reality, the updations are minor tweaks which when combined, tipped the scales either in favour of one website or the other one. Searching for the reasons that are helping your competitor’s is not an easy task, but definitely, this keeps the SEO professionals busy. See nobody said that SEO is easy. You should not stop improving your website when you rank high on the search engines, the reason is, and the websites which are ranking second will not stop updating. This is not Google’s propaganda; it is the reality of what Google’s Broad Core Algorithm Update is. So, you got the answer to what Google’s Broad Core Algorithm Update is. It simply is a tweak or change to the main search algorithm. I have given you not only the answer to what Google’s broad core algorithm update is but also what are the bits of advice to conquer them. 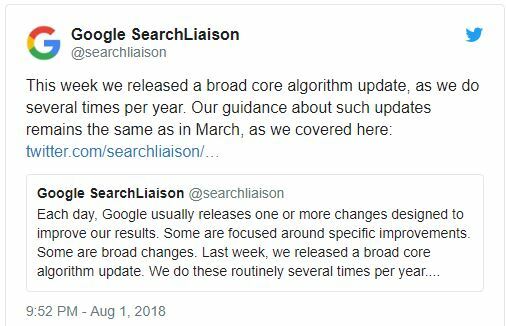 So, I hope you have found the article “what Google’s broad core algorithm update is”; I will be backing soon with some more interesting topics of your benefit. Till then stay tuned for the cheap and best SEO books 2018. For more and more queries you are requested to fill the FORM here. Nice content mate. You’ve got quality content.